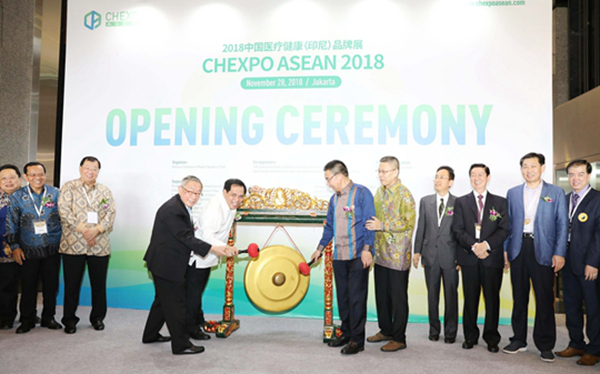 On November 28th, the first China Medical Health (Indonesia) Brand Exhibition opened at the Jakarta International Exhibition Center in Indonesia. GANOHERB attended this expo with high-quality Ganoderma products. This exhibition is the first one held by the Ministry of Commerce of China with the theme of health products and medical products. It is organized by the Foreign Trade Development Bureau of the Ministry of Commerce and the China Chamber of Commerce for Import and Export of Medicines and Health Products for a total of three days. 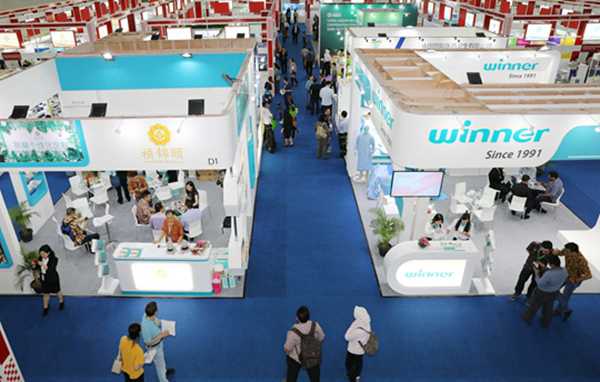 101 companies from 20 provinces (municipalities) of China and 2 Indonesian companies participated in the exhibition. 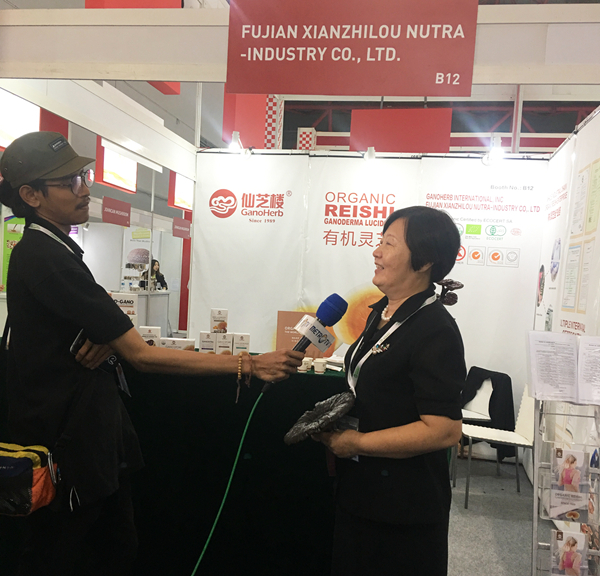 The exhibits covered three major themes including traditional Chinese medicine and health care products, medical products and home care as well as care. On-site medical service areas such as acupuncture and massage, health care and old-age care were also set up. The audience can experience the essence of the profound Chinese medicine culture. In recent years, the structure of China's medical and health fields has been continuously optimized, the quality of medical and health products has been continuously improved, the industrial advantages are obvious, and the product competitiveness is strong. It has strong complementarity with the markets of Southeast Asian countries such as Indonesia. China Medical Health (Indonesia) Brand Exhibition will build an important exchange platform for mutual benefit, cooperation and win-win for the economic and trade exchanges and industrial cooperation between the two countries in the field of medicine and health. 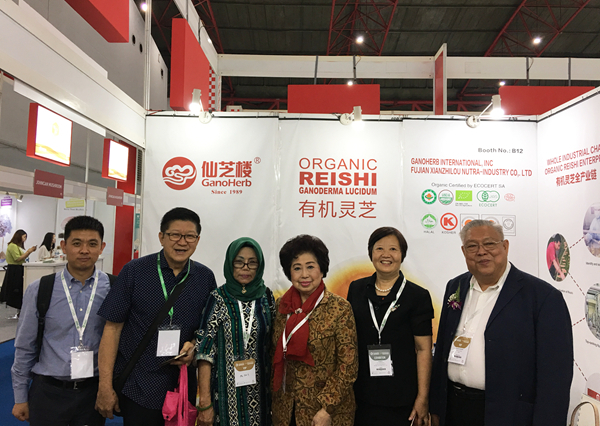 After the opening ceremony of the day, many guests visited the GANOHERB's booth to experience the elegance of Reishi Mushroom. 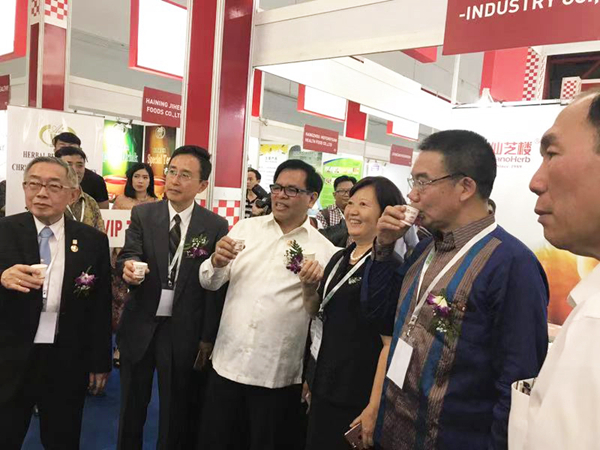 Mr. Djauhari Oratmangun, Ambassador of Indonesia to China, and Mr.Lin Wenguang, Chairman of the India-China Business Council, visited GANOHERB's booth, tasted the organic Ganoderma Lucidum Tea of GANOHERB, recognized and praised the products and brands of GANOHERB. Mr. Djauhari Oratmangun, Indonesian Ambassador to China (3rd from left), Mr. Lin Wenguang, Chairman of the India-China Business Council (left 1), Mr.Jia Guoyong, Deputy Director of the Foreign Trade Development Bureau of the Ministry of Commerce of China (2nd from left), and Mr. Zhou Hui, President of China Chamber of Commerce for Import and Export of Medicines and Health Products (Right 1) tasted GANOHERB's organic Lingzhi tea. GANOHERB focused on Ganoderma lucidum for 29 years! At present, it has two national-level research centres and two academician workstations. It has 20 core invention patents in planting, production, deep processing and testing of Ganoderma lucidum. GANOHERB is a benchmarking enterprise in Ganoderma lucidum health industry. Over the years, GANOHERB has undertaken the setting of the national standards of [Ganoderma lucidum spore powder harvesting and processing technical specifications", [Ganoderma lucidum extract international business standards", and [Ganoderma lucidum spore oil international business standards" to help realize the industrialization, standardization and Internationalization of the Chinese Ganoderma lucidum, enable Ganoderma lucidum to benefit more people in health and auspiciousness, and realize the beautiful vision of "Chinese Ganoderma are shared by the world".